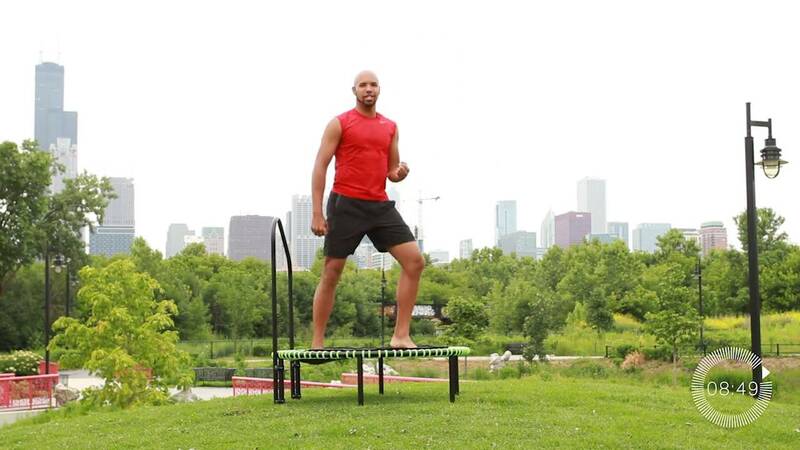 Basic bouncing on the bellicon with the beautiful chicago Skyline in the background. This has the greatest music. It is very easy, but I put it on and get more active, as the music inspires. Definitely not a level 7, but relaxing, and you can spice it up if you want to. Just added to my favorites!!!! Another beautiful workout from you Jeremy, thanks for that simple but challenging one. Many thanks I just love your workouts because the moves are so clear to see and so well explained easy to follow. Many enjoyment to bounce with you ! This was a very enjoyable warm-up bounce. I would consider it more of a level 4 or 5, however. To me, a level 7 would include more challenging cardio. I loved the setting and the music. However, because of the angle of the camera, it was difficult to always see Jeremy's feet positions. Nonetheless, thanks for a lovely session.